This morning I reached for book off the shelve. 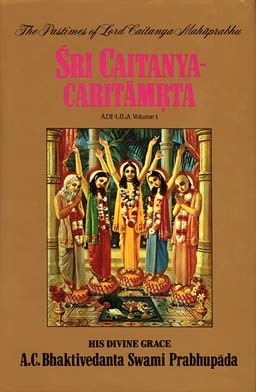 I was inspired to go to the Śrī Caitanya-caritāmṛta Vol. 1 of the Ādi-līlā. Don’t know why, I just felt this pulling. So I opened it and began to read from the Preface. In these couple of pages, Srila Prabhupada explaines the entire philosophy of Krishna Consciousness. I was thinking I should just try to memorize these few pages, word for word, and the next time my mind began to wander off into maya, I could reel it back in, by simply remembering these basic instructions that Srila Prabhupada gave us back in 1968. Here is a new word for your vaisnava vocabulary; hlādinī . As I was reading from the Caitanya-caritamrta this morning, this word hlādinī was used to describe the pleasure potency of the Lord. Now keep in mind, that this is all way over my head, but still as an aspiring devotee, I am interested in developing “Love of God”. So I find all of Srila Prabhupada’s writings to be wonderfully beneficial. As we mentioned in a previous post With the Radiance of Molten Gold “The First Chapter of Śrī Caitanya-caritāmṛta begins with fourteen Sanskrit verses that describe the Absolute Truth. Then the next three Sanskrit verses describe the principal Deities of Vṛndāvana, namely, Śrī Rādhā-Madana-mohana, Śrī Rādhā-Govindadeva and Śrī Rādhā-Gopīnāthajī.” Today we are posting the next three verses describing the principal deities, with images of the three temples. In addition we are posting verses 18 & 19. The purport to text 19, is the main content of today’s post. “All glories to Sri Krishna Chaitanya, the unlimited ocean of mercy. All glories to Lord Nityananda, the dearest friend of the distressed. All glories to Lord Chaitanya, the life’s treasure and soul of Sri Advaita Acarya, and the priceless treasure house of Sri Gadadhara Pandita. All glories to Lord Visvambhara, the son of Sri Jagannatha Misra and Mother Saci. 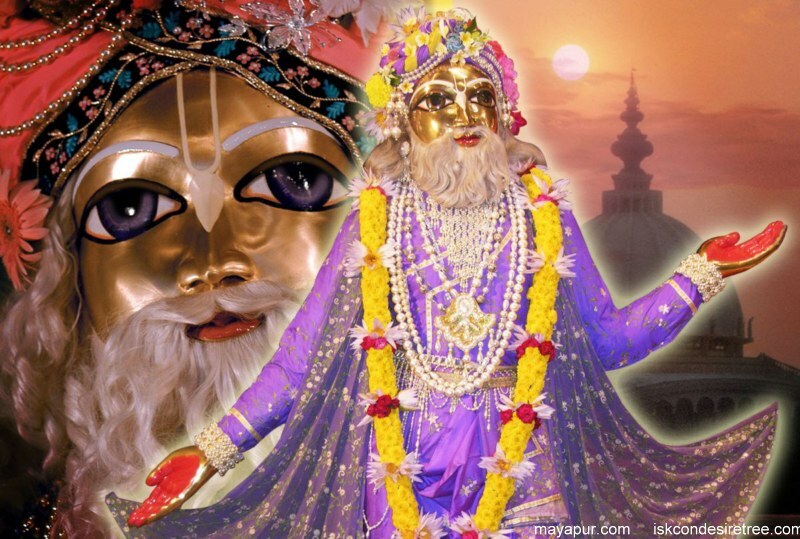 All glories to all the devotees who are such dear associates of the Lord. Lord Ananta Sesha appeared in the Radha district on an order given previously by Sri Chaitanya. 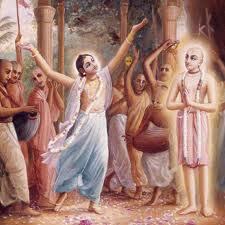 He remained in the material world according to Mahaprabhu’s transcendental desire. Sri Nityananda Prabhu, the Lord of the Gaudiya Vaishnavas, appeared in the village of Ekacakra. His father was a brahmana named Hadai Pandita and his mother was Srimati Padmavati devi. From His early childhood Sri Nityananda Prabhu had a serene disposition and was highly intelligent. He was a reservoir of excellences. His charming beauty overshadowed the attractiveness of millions upon millions of Cupids. 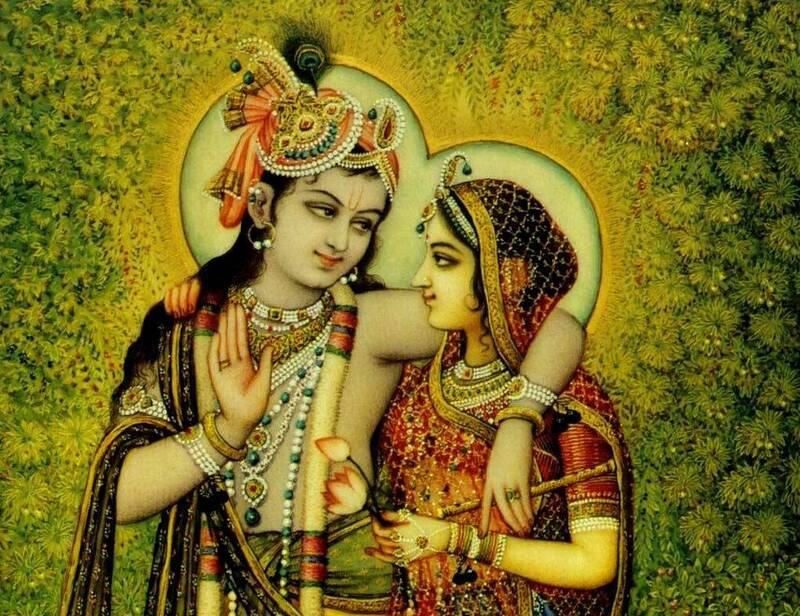 From the time of Nityananda’s birth, everything became auspicious in the district of Radha. Famine, poverty and all kinds of disturbances were totally dispelled. 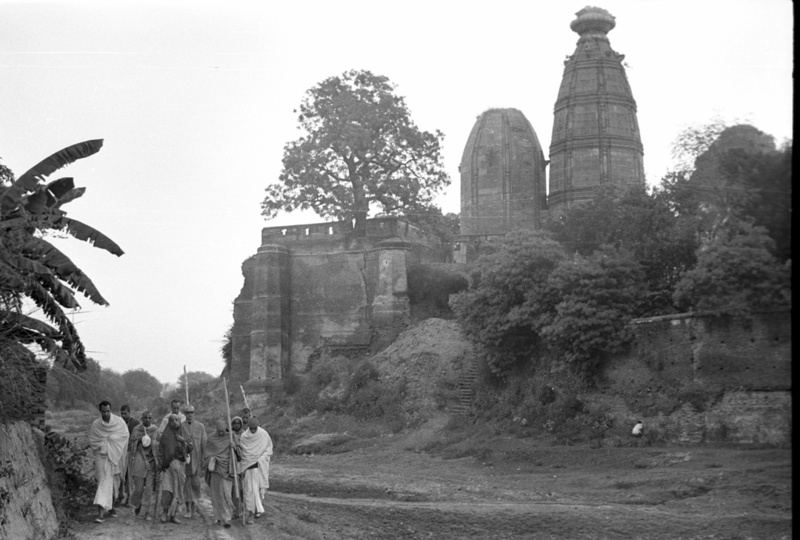 On the day of Lord Chaitanya’s appearance in Nabadwip, Sri Nityananda, Who was still in Radha, roared with jubilation. The sound of that roar filled the universe and robbed everyone of his senses.